Manufactured By – Def Jam Records, Inc. Marketed By – Def Jam Records, Inc. Copyright (c) – Mass Confusion Inc. Copyright (c) – Pecot Music Co. Published By – MCA Duchess Music Corp. Produced For – Blackground Enterprises, Inc.
Clean version. Track 2 has rerecorded lyrics. Track 16's running time is misprinted as 3:59; actual time listed above. Track 1: Herbilicious Music/Cavilicious Music/Blazilicious Music (ASCAP)/MCA Duchess Music Corp./New Thunder Music Co. (BMI). Recorded and mixed at Manhattan Center Studios, NYC. Contains a sample from "The Girl From Ipanema" (G. Norman, J. A. Carlos, D. M. Vinicious) MCA Duchess Music Corp./New Thunder Music Co. (BMI), as recorded by Stan Getz and Astrud Gilberto, courtesy of Verve Records, under license from PolyMedia, a division of PolyGram Group Distribution, Inc.
Track 2: produced for Timbaland Productions, Inc. Recorded at Mastersound Studios, Virginia Beach, VA and Manhattan Center Studios, NYC. Mixed at Manhattan Center Studios, NYC. Contains interpolations of "Thank You" (S. Stewart), Mi Jac Music/Warner Tamerlane Music (BMI) and "Don't Stop The Music (Yarbrough, Peoples), Taking Care Of Business (BMI). Track 3: produced for Timbaland Productions, Inc.
Track 4: produced for for Playa Productions. Co-produced for Timbaland Productions, Inc. Recorded at Soundtrack Studios, NYC. Mixed at Manhattan Center Studios, NYC. Track 5: produced for for Playa Productions. Track 6: Herbilicious Music/Blazilicious Music/Cavilicious Music (ASCAP)/Copyright Control. produced for for Playa Productions. 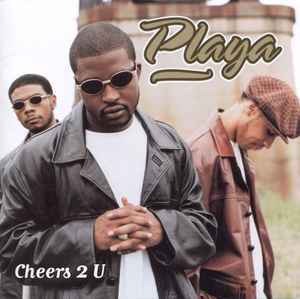 Track 7: produced for for Playa Productions. Mixed at Axis Studios, NY. Tracks 8, 10: produced for Timbaland Productions, Inc. Recorded at Master Sound Studios, Virginia Beach, VA. Mixed at Studio 56, Los Angeles, CA. Track 9: produced for Timbaland Productions, Inc. Recorded at Master Sound Studios, Virginia Beach, VA. Mixed at Manhattan Center Studios, NYC. Track 11: produced for for Playa Productions. Recorded at Scream Studios, CA. Mixed at Manhattan Center Studios, NYC. Track 12: produced for Timbaland Productions, Inc. Contains interpolations from "Baby" (K. Crouch, R. Patterson, K. Jones), Chrysalis Music/Pecot Music Co. (ASCAP)/Human Rhythm Music (BMI) and "Bad Girls" (J. Esposito, E. Hokenson, B. Sudano D. Summer) Warner-Tamerlane Publishing Corp./Rightsong Music/Earborne Music (BMI)/Sweet Summer Nights Music (ASCAP). Track 13: produced for for Playa Productions. Recorded at Soundtrack Studios, NY. Mixed at Axis Studios, NY. Track 14: produced for for Playa Productions. Recorded and mixed at Axis Studios, NY. Track 15: Herbilicious Music/Cavilicious Music/Blazilicious Music (ASCAP). Track 16: produced/co-produced for House Entertainment. Contains an interpolation of "Message To B.A." (L. Patterson, A. Young), Ruthless Attack Muzik (ASCAP). Executive producers and management for Blackground Enterprises, Inc. Manufactured and marketed by Def Jam Records, Inc. Distributed by Polygram Group Distribution, Inc.